Two women who live with R. Kelly in Chicago say their parents are trying to get money from the R&B singer so they have been lying about Kelly holding them against their will. Joycelyn Savage and Azriel Clary, in an interview with “CBS This Morning” co-host Gayle King, defend their relationship with Kelly and deny reports that they have been brainwashed. Clary, who is 21, breaks into tears during the interview and King asks her why she’s crying. Kelly was charged last month with sexually abusing three girls and a woman dating back to 1998. CBS says interviews with Savage and Clary will air Thursday. A Cook County Sheriff’s Office official says singer R. Kelly won’t be released from jail until he pays $161,000 in back child support he owes. Sheriff’s office spokeswoman Sophia Ansari says Kelly was taken into custody Wednesday during a hearing over the child support and that his next hearing is scheduled for next Wednesday. Kelly’s publicist, Darryll Johnson, says Kelly came to the hearing prepared to pay $50,000 to $60,000, but the judge wanted the whole amount. He says Kelly didn’t have the whole amount because he hasn’t been able to work. Kelly has denied any wrongdoing and says his accusers are lying. Kelly left the courtroom with his lawyers on Wednesday through a different door than he had entered. His hands weren’t cuffed. Cook County Sheriff’s Office spokeswoman Sophia Ansari says Kelly was taken into custody and will be transferred to the county jail. She says she doesn’t know the reason he was taken into custody, including whether it had to do with unpaid child support he owes. Kelly was charged last month with 10 counts of aggravated sexual abuse pertaining to four women years ago, including three who were underage at the time. The singer has denied wrongdoing and pleaded not guilty. A 23-year-old woman described by R. Kelly as one of his girlfriends has told her family that she is “happy” with the embattled R&B artist. The call took place after her parents, Timothy and Jonjelyn Savage, held a news conference in Georgia during which they said they hadn’t spoken to their daughter in two years and alleged that Kelly was holding her against her will. The call was on speaker-phone at the office of the couple’s lawyer, Gerald Griggs, and was captured on cellphone video and posted on Twitter. Kelly is charged with having sexually abused four other women years ago, including three who were underage at the time. He has pleaded not guilty and has denied any wrongdoing. R. Kelly has arrived at a child support hearing in Chicago. 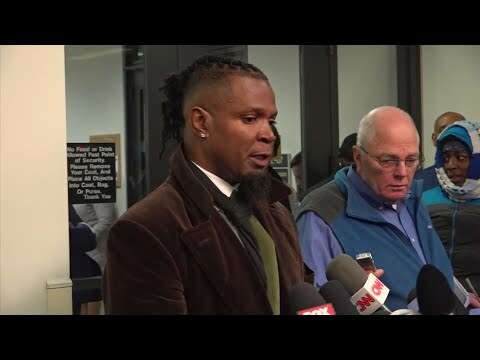 The R&B singer who is out on bail in a criminal case accusing him of sexually abusing four women years ago, including three who were underage at the time, didn’t appear to say anything as he walked past a throng of reporters into the courtroom on Wednesday. David France, manager for Kelly’s ex-wife Andrea Kelly, told the Chicago Sun-Times that the singer hadn’t made a child support payment that was due by late Tuesday. Kelly has pleaded not guilty to the 10 counts of aggravated sexual abuse that he faces. “CBS This Morning” broadcast part of an interview with Kelly earlier Wednesday in which he said the allegations against him are all lies. 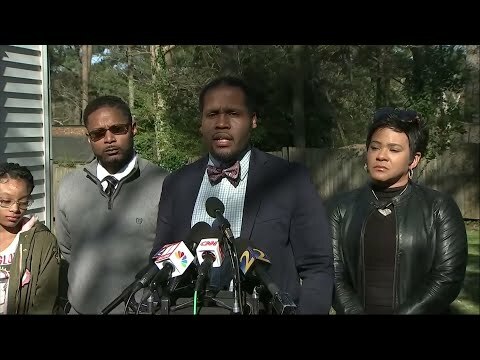 A lawyer for a Georgia couple who say their daughter is being held against her will by R. Kelly lashed out after a television interview with the R&B singer. Griggs says the family has never asked for or received money from Kelly. The R&B singer says he’s done “lots of things wrong” when it comes to women, but he says he’s apologized. He denies doing anything against their will.